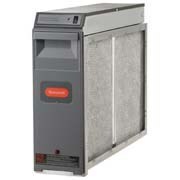 F300 ELECTRONIC AIR CLEANER - 20 X 25. INCLUDES PERFORMANCE ENHANCING POST FILTER. 120V 60HZ. RATED AT 2000 CFM. USE 203365A CONVERSION KIT IF 240V REQUIRED.